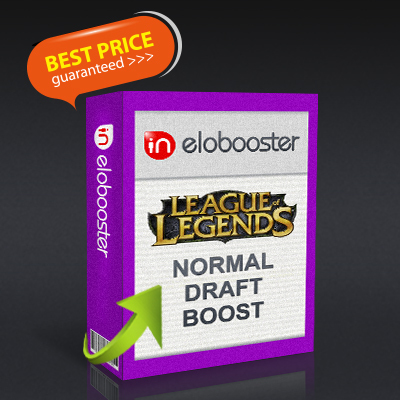 How to buy LoL Normal Draft Boost (ELO) Boosting? Please select your desired amount of wins, also enter your summoner name and user name, password, selecting the server. Select the game server, here! The encrypted and secure system we use to log our boosters into your account will never allow anyone but you, the account owner, to see the actual account information when logging in. This provides a full-proof level of security and peace of mind that our competitors do not offer. As part of our code of conduct, our boosters are not allowed to “Add Friends” or even touch your IP/RP. As a rule of thumb your order will usually take 8-24 hours for each 100-200 LP. PayPal supports credit cards, bank cards, etc. We have a team of 200 boosters. PS: If you are a regular customer (purchased customer) please feel free to contact the online customer service to obtain the coupon code. How to buy LoL Division Boost (ELO) Boosting? Please select your Current Rank and Division, Desired Rank and Division, also enter your summoner name and user name, password, selecting the server. How to buy LoL Flex Boost (ELO) Boosting? Please select your Current Rank and Division, Desired Rank and Division, also enter your summoner name and user name, password, selecting the server. How to buy LoL Wins Boost (ELO) Boosting? Please select your Current Rank, Select Queue, Number of Wins, also enter your summoner name and user name, password, selecting the server. How to buy LoL Placement Matches (ELO) Boosting? Please select the Current Rank, Select Queue, Number of Games, also enter your summoner name and user name, password, selecting the server.